Discover the Palau de Gel D’Andorra Palace. 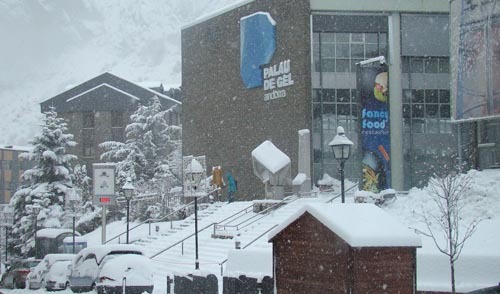 The Palau de Gel D’Andorra Palace is located at foot of the pistes of the ski resort of Grandvalira, in the parish of Canillo, Andorra. In the Palau de Gel D’Andorra Palace emotions are guaranteed. It is a perfect place for having fun by practicing different sports and striking activities with the family or friends. There you can practice ice skating, karting, ice hockey, polo kayaking, and a lot more. Furthermore, among its facilities, it houses a fitness room, swimming-pool, sauna with UVA solarium, tennis and squash courts, a playground, a congress centre and a restaurant.